Does the Orthodox Church believe in “transubstantiation” (μετουσίωσις in Greek) with regards to the Eucharist? Or is that only used in the Latin (Roman Catholic) church? There’s certainly a lot of confusion and conflicting information out there, so let’s take a closer look. As a long-time blogger, I can vouch for the necessity of extending grace towards a writer when they are attempting to both honestly and carefully represent their beliefs. I intentionally place a disclaimer on my blog, making it plain that any mistakes or errors contained on the site are my own, and in no way discredit the Church. If one really wants to dive into the depths of our faith, the only place to do so is in the liturgical and confessional life of their local parish. Nevertheless, people keep telling me that my blog helps them, and so I keep on blogging. Lord, have mercy. It is clear from these points that Dunn is attempting to be brief and even catchy with his wording of each point, and so I won’t be overly critical of his short and to-the-point summary. However, since it seems to make a dubious claim on the point of transubstantiation, I thought I’d try and bring some more detailed clarity to the issue, in a way that was not intended by Dunn’s intentionally-short piece (which is fine, really). In other words, Roman Catholics believe that transubstantiation is the “change” that occurs in the “whole substance” of the bread and wine set apart for the Eucharistic mystery. This is a change that takes place at the words of institution or consecration (i.e. “This is My Body,” etc.). There’s some Scholastic language here, of course, but that’s the basic gist. In the Orthodox tradition, you will find it taught variously that this change takes place anywhere between the Proskomedia (the Liturgy of Preparation)—which is now a separate service prior to both Orthros and the Divine Liturgy on a typical Sunday, though traditionally it is done during Orthros—and the Epiklesis (“calling down”), or invocation of the Holy Spirit “upon us and upon these gifts here set forth” (as in Chrysostom’s liturgy). As such, the gifts should be treated with reverence throughout the entirety of the service. We don’t know the exact time in which the change takes place, and this is left to mystery. This view is common among those such as the reposed Fr. Alexander Schmemann and others, although many in the Orthodox tradition will also insist the change does actually take place at the words of institution. The key point of emphasis in the Eastern tradition, then, is not whether or not a change takes place (even if we can’t understand or describe it precisely), but that it does emphatically take place. During the iconoclasm controversy (eighth–ninth centuries), the change in the Eucharist was used to refute the arguments of iconoclasts who claimed the Eucharist was the only true icon of Christ. In these debates, the iconodule St. Theodore the Studite wrote, “We confess that the faithful receive the very body and blood of Christ, according to the voice of God himself.” The reality of transubstantiation was a refutation of iconoclasm. The Eucharist was not an icon of Christ, but was the real and true presence of the person Jesus Christ in the bread and wine of the Eucharist; or rather, a true symbol. Fourthly, attention must be paid that the priest have, at the time of consecration, the intention that the real substance of the bread and the substance of wine be transubstantiated into the real body and blood of Christ through the operation of the Holy Spirit. Transubstantiation occurs immediately with these words, and the bread is transubstantiated into the real body of Christ and the wine into the real blood of Christ, with the visible appearances alone remaining. In Metropolitan Peter’s confession—which was widely adopted and sanctioned by multiple patriarchates in the seventeenth century—the change is said to occur at the time of the Epiklesis. This is in agreement with Roman Catholics. The use of the word μετουσίωσις here means that the bread, water, and wine are truly become the Body and Blood of Christ at the invocation of the Holy Spirit. They are not merely so in our imagination or as a bare symbol, but in the true, “Greek” sense of συμβολον, which means to bring two things together (in this case, the real presence of the person of Jesus Christ with the elements in the chalice). He is not present typically, nor figuratively, nor by superabundant grace, as in the other Mysteries, nor by a bare presence, as some of the Fathers have said concerning Baptism, or by impanation, so that the Divinity of the Word is united to the set forth bread of the Eucharist hypostatically, as the followers of Luther most ignorantly and wretchedly suppose. But truly and really, so that after the consecration of the bread and of the wine, the bread is transmuted, transubstantiated, converted and transformed into the true Body itself of the Lord, Which was born in Bethlehem of the ever-Virgin, was baptized in the Jordan, suffered, was buried, rose again, was received up, sits at the right hand of the God and Father, and is to come again in the clouds of Heaven; and the wine is converted and transubstantiated into the true Blood itself of the Lord, Which as He hung upon the Cross, was poured out for the life of the world. In this confession of faith enjoying wide acceptance throughout the seventeenth century Orthodox Church, Patriarch Dositheus teaches that Christ is “truly and really” present in the Eucharistic elements. He does not mention here the timing of the change, but simply that the bread and wine are “transubstantiated” (again, μετουσίωσις) into the “true Body” and “true Blood” of the Lord. 340. How are we to understand the word transubstantiation? In St. Philaret’s catechism, we are given the first distinction between the Eastern and Western description of transubstantiation of which I’m aware. Writing in the nineteenth century, Philaret says that transubstantiation is not a reference to the change itself—since none can possibly understand exactly how/when this takes place—but that it is merely a reference to our Lord being “truly, really, and substantially” present in the Eucharist. In other words, it is not a reference to metaphysical or nominalist philosophy (as with Aristotle, for example), but is speaking to the reality of the change, albeit as beyond our comprehension. In a sense, it is impossible to draw a true comparison between the Roman Catholic and Orthodox viewpoints on this issue, since only one communion has dogmatically ruled on the question. In their dialogues and disputes with the Protestant reformers, the Latin Christians dogmatically ruled a number of issues that had previously been left to relative mystery—or were not as “officially” defined as at the Council of Trent and following. In the rare cases where the Orthodox Church has responded to the arguments of the Reformers, the word transubstantiate is used to clarify the Orthodox position, in contradistinction from the positions of both Luther and Calvin (among others). However, this has never risen to the level of dogma, nor has it been ecumenically mandated. In other words, the Orthodox clergy were (wisely) using the words of their own day to differentiate themselves from the Protestants, while not necessarily painting themselves into a dogmatic corner. And it should be noted too that Scholasticism itself is not wholly foreign to Orthodoxy, nor is it exclusive of the West. In the end, while I appreciate the aim of Dr. Dunn’s post, I think on this particular point he has overstated his case. As Orthodox Christians, we must be careful to balance and nuance our claims, especially with regards to the Latins or “the West.” The last thing we want to do is oversimplify matters to the extent of seeming deceptive or—perhaps worse—misinformed. After all, this is typically what gets thrown our way from those unfamiliar with Orthodoxy (beyond literature), often justly putting us on the “defensive” (an important distinction from “triumphalism”) in response to such misrepresentations. That being said, I’m open to feedback if anyone (Roman or Orthodox) thinks I’ve misrepresented one side or the other in this article. a visitation (epiphoitesis – John Chrysostom, On John 45.2, PG 59, 253). Interesting (and obvious) that Patriarch Gennadios would use metousiosis, as well. I really love how you have emphasised how we tend to make wide sweeping statements that may or may not misrepresent us at great cost to real worthwhile discussion. I wonder if a great deal of the disputes that exist between denominations couldn’t be brought a great deal closer to resolution if we would actually bother to put in the effort to define our terms and not just simplify everything to the point of generalization. I think this is something that we as Orthodox Christians must be more careful of precisely because it contributes not only to our misrepresentation to other but also to the misinformation of the faithful. I certainly think so, and I’m glad you appreciated that point. I’m in favor of helping to bring people into Orthodoxy, of course, but we shouldn’t have to be deceptive or use half-truths in order to do it. While we might want to distance ourselves from Rome in various discussions, this is one topic where we have more in common than not. A friend of mine who was an ordained protestant minister become Roman Catholic clued me into the notion of “consubstantiation.” I’m not familiar with all the nuances and connotations of that term, but I think it may be more useful, if we’re wanting a name to expressing the reality of the Presence of Christ’s Body and Blood in the elements of the chalice. It preserves the notion of the heavenly and earthly realities together, and doesn’t necessitate a discussion of “how” those two realities got there, beyond identifying the eucharistic liturgy. I think this probably captures the consensus of the fathers, but if not, someone let me know. Honestly, I don’t think I’ve ever dwelt on the bread and wine aspects of the eucharist when receiving communion, even from the age of seven. It’s always been simply the Body and Blood of Christ in my main awareness, and a profound moment of communion with Christ, so the discussion of how has always been, to me, something of a moot point. I’ve always known it’s bread and wine, but it’s always been very different than the bread I would eat for food, and the wine I’d drink by the glass, not because of taste and texture, but because of the overriding reality of Christ’s Presence. We don’t, liturgically, mention Christ, our Venerable Jewish Rabbi, even though Jesus was that, but rather Christ, our True God. I think the same principle applies in discussions of how bread and wine can be the Body and Blood of Christ. I agree that consubstantiation may have some useful parallels. When I was studying Reformation history and theology back ca. 2005 it seemed to make the most sense out of the various Western European alternatives. But from recent Wikipedia checks (I know, I’m skating on thin ice here), it seems it’s important to distinguish between consubstantiation, impanation, and sacramental union (the latter apparently being the standard Lutheran understanding). The catechism of Dositheos cited above criticizes at least one of those notions: “or by impanation, so that the Divinity of the Word is united to the set forth bread of the Eucharist hypostatically, as the followers of Luther most ignorantly and wretchedly suppose.” But this seems to be more of a polemical caricature of the Lutheran position than a real rebuttal, esp. since Luther distinguished this union from the hypostatic union of the natures in Christ. This is not congruent with how I have heard Transubstantiation explained by any Catholic I’ve spoken with. On the contrary, while Trent only defines that the bread and wine are substantially changed into the Body and Blood of Christ, the dogma is very often paired with the idea that the change occurs in the *substance* of the bread and wine, but the *accidents* are not changed. This is, as I’ve understood it, where the Orthodox tend to get off the boat, because, while we do not have an objection in principle to the *teaching*, it also tends to be (or, at least, seems to be) too closely tied to Aristotelian metaphysics for us to accept the dogmatization of this one, particular understanding of the Eucharist over all others. Lutherans are uncomfortable with “change” language. But in our Eucharistic Prayer we say, “We now present to you from your creation this bread and wine. By your Holy Spirit May they become for us the body and blood of our Lord Jesus Christ.” That sounds like a change. When it happens is not certain, nor is how it happens. Lutherans understand “Transubstantiation” to be philosophical explanation for how Christ’s body and blood come to the bread and wine. Lutherans day this is an unknowable mystery. They are most comfortable with the term “Real Presence” by which they mean that Jesus is fully and actually present and received in the sacrament. They have no disagreement with either the Roman Catholic or Orthodox churches on that. I have a doubt: The Eucharist should be worshipped as Romans do? Orthodox do not worship the Eucharist. My understanding of the theology may be off-beam, in which case, forgive me, but the Eucharist is how we unite ourselves to Christ. We take it into our bodies and become one with it. To legitimize the worship of the Eucharist would therefore be to legitimize the worship of human beings who partake of it. Obviously we don’t want to do that! We worship God in His Essence, not God’s Energies, His Grace or His Gifts, though we honour and venerate the latter. In this, of course, is included the Theotokos and all the Saints, who are also One with God’s Energies. nonsense! you seem to think there is no distinction between Jesus’ flesh and blood and the humans who partake of it! From what I understand, this is part of the reason why the Latins have rejected Consubstantiation. If the substance bread remains with the divine Christ, it cannot be adored. I think Blair is saying that if one can worship the Christ present in the elements, than one can worship the Christ present in the Christian without worshipping the human itself. It seems to me that Blair would reject this practice for the same reason he wouldreject the adoration of Christ in the believer. Russian Orthodox certainly to worship the Holy Sacrament: and how one worships shows what one believes. The Russians prostrate themselves in worship when the priest enters in procession carrying the unconsecrated bread, as if in anticipation of the mystical change to take place (or perhaps the transubstatiation is considered already to have taken place?) Also, the Russian Orthodox prostrate themselves once again in adoration just before receiving Christ in Holy Communion. They obviously intend to pay Christ in the Sacrament honour and worship. 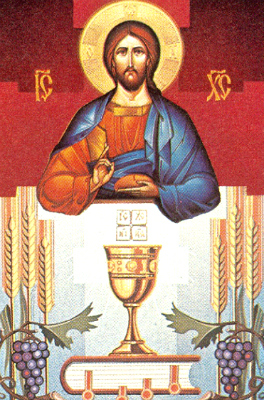 As one of the Fathers of the Church admonished: ”Let no one receive the Body of Christ, without first worhipping It.” The Easter Orthodox priests treat the consecrated bread and wine with great respect, and reserve Christ upon the altar, just as Catholics do, in a sort of tabernacle, with a burning light to indicate His presence. So, these age-old acts of orthodox worship and honour demonstrate the legitimacy of worshipping and honouring our Lord in the Sacrament of the Altar. Prostration does not equal worship. The Orthodox also prostrate before icons, each other, etc. There is some haziness at times between how worship and veneration (which is sometimes called “relative worship” or even just “worship”) get used in various translations, but the spiritual acts and intention are themselves fundamentally different. One of the Church councils ( Blachernae in Constantinople condemned those who refused to adore Christ’s divinized flesh United with his divinity. I believe this applies to the Eucharist. Of course we adore the Eucharist because we adore Christ and he is fully present in the Mystery. In the eastern tradition, there were never para liturgical devotions dedicated solely to adoring Christ in the Eucharist but that is a separate issue. To deny this worship is to deny the real presence. The official documents that discuss the Eucharist make it clear that Christ is truly and substantially present, the whole Christ. So this worship follows consistently from the faith believed. As I Deacon, I say when about to commune.. “Lo, I draw near unto Christ, our immortal king and our God. Master impart unto me, the Unworthy Deacon John, the precious and all holy body of our Lord, God, and Saviour Jesus Christ into remission of my sins and unto Life everlasting. ” so If you are denying worship of the Eucharist, which is Christ made present, then I would have to disagree. This is no mere honor, this is Latria, Adoration…unless you want to divide it from the Living Christ and deny that it is Living Bread, not dead separated from Him. We say having partaken of the Divine, holy, immaculate immortal, heavenly and life giving and awesome mysteries of Christ…Let us worthily give thanks unto the Lord. And in the prayer behind the Ammo of Saint Basil, we hear these words, WHO art broken, yet not severed, who art eaten, yet never consumed, but sanctifying those who partake thereof. ” It is Christ that we partake of Who is worthy of all adoration. It is through the Eucharist that He is “with us always even unto the end of the world”. Thank you for the information. 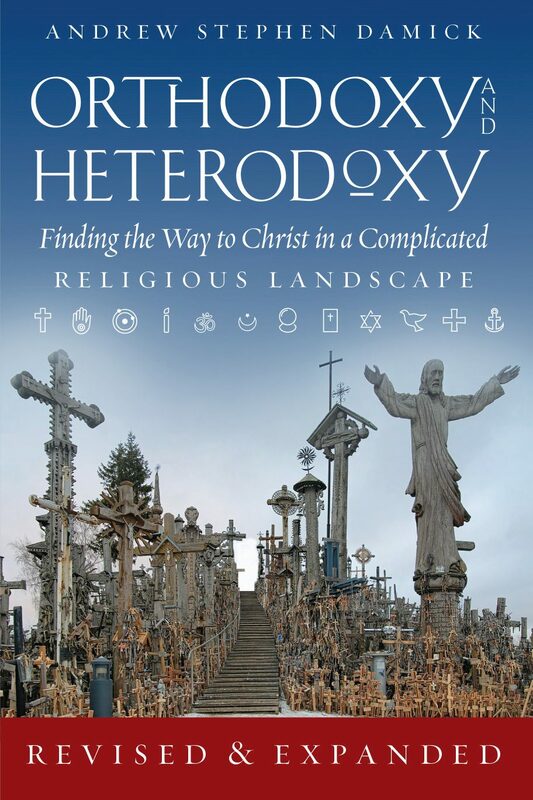 I was raised Southern Baptist and just now beginning to explore Orthodoxy. So many questions??? I have been to two DL’s thus far and to say it was a different experience is an under statement. I felt the presence of our Lord! No “rock concert” bands, no pews, just reverence and respect. Good evening Nick, that’s actually a really great question. If you have any extra time on your hands, it may be worth getting your hands on Dr. Brant Pitre’s book . The Jewish background to saying that the Eucharist of the Divine Liturgy is the actual body and blood of Christ is that Christ Himself makes the comparison of the New Covenant Supper to the Old Covenant Passover, Manna from heaven, and offering of the Bread of Presence in the Temple. I’m not sure that my attempt to explain it would do the book any justice, though if you are curious to know I can clarify. =) God bless. Our Lord was saying, that His Body – if eaten dead – would avail nothing. But He gives does not give us His dead Body! Rather, He gives us His true, living, risen, Spirit-filled Body and Blood to receive within us. We are not cannibals, for we are not annihilating the living Christ by receiving Him into our mouths and bodies: it is much more like a marriage union, where two Bodies and Souls come together. But Holy Communion is even more intimate, for the whole Christ – not just a part of Him – comes into us completely and remains for as long as the species are undigested. The Apostels said: This is a hard teaching, who can bare it? Our Lord did not take back His words – ”Unless yout eat my Body, you shall have no life within you!” Rather, He said: ”Do you to wish to leave me? The Apostles said: No, Lord, for whereto shall we go?” So must we accept our Lord’s gift of His Body and BLood in the Holy Communion, without , for where else shall we go and find Him who is the Way, the Truth, and the Life, than in the Sacrament of His Body and BLood, which He gave to His Church to perpetuate until He come again in glory ? Though I disagree with the Church of Rome on this issue, Transubstantiationalists would not be guilty of the charge of cannobalism. Christ is literally present, but not locally present as Thomas Aquinas explicitly states in the Summa Theologica. Christ is literally present in substance (synonymous with essence as he uses it) and is present in a sacramental manner. So Christ’s body is not physically pressed with the teeth. Aquinas said that we consume the whole body of Christ through “concomitance” (the same way eating in one kind conveys the full body), but not carnally. Cannibalism would require a local, physical presence and carnal consumption. I’d like to know more re: Orthodoxy and attitudes toward the Eucharist. Specifically relating to the comment above that “Orthodox do not Worship the Eucharist”. I find it wierd that you realize the bread became his actual body and the wine became his actual blood, yet you don’t think you should worship Him as while present in His body or His blood. How can you know it’s Him but not worship Him? We worship Him by that obedience. It’s food and drink “indeed,” as He said. The argument you’re making is that we should treat the Eucharist as identical to Christ in every way. So do we pray to it? Do we say that the Eucharist is present in the womb of the Virgin? That she is the mother of the Eucharist? That the Eucharist died for us and rose for us? Are we baptized into the Eucharist? Yes, the Eucharist is Christ, but it is Christ given to us as food and drink. The mode is important, not just the identification. I am a Roman Catholic, born and raised, and I find myself emotionally detached to Eucharistic Adoration, though I intellectually know that it is Jesus Christ’s Body and Blood that looks like bread and wine. I felt spiritually dead and disappointed by the lack of awareness of sanctity whenever I see that bread in the monstrance. And the fact that you’ve explained that Christ became for us food and drink to eat and drink gives me a perspective on a possible reason as to why I felt so alienated, or at least confused by Eucharistic Adoration. Bread and Wine are meant to be consumed, and it is just strange to isolate Bread and claim it is Our Lord’s Body, but to not eat or drink His Body and Blood. This also ties in to the strange feeling I have regarding the discipline of the Catholic Church which gave rise to the teaching that Eucharistic Bread, consecrated as Body of Christ, is Body and Blood, and sufficient for the faithful who wishes to commune. I am really disturbed by the fact that on one hand, Our Lord gave us Bread and Wine to be His Body and Blood, but then is claimed by Catholic authorities through theological gymnastics, that Bread alone is sufficient, and has both the Body and Blood of Our Lord, despite the absence of wine. I am really saddened, because as a Roman Catholic, I despise the irreverent attitude mainstream Catholics have at Mass, especially when receiving the Eucharist (even in both kinds) from women and lay people, and picking up His Body with their dirty fingers that went through their bags and wallets and handled money to give to the collectors. So I tried to go to the Traditional Latin Mass, and accepted the premise that communion only with bread is sufficient. I feel like I have no choice but to go to either Eastern Catholicism, or Orthodoxy. Yet I feel the need to be loyal to Rome, so my conscience is left a mess, and if it is not resolved soon, I may end up an atheist. You would be welcome in the Orthodox Church. If you ever find yourself in eastern Pennsylvania, please stop by and see us in Emmaus. if you are at risk of atheism because of loyalty to the RC church, then your loyalty is not to God but a structure, and that loyalty to a structure is of dubious value spiritually since it is apparently severed from loyalty to Jesus Christ. Sure the structure can be argued to be God made, but it went through some changes in the west leading to Rome’s schism from us. First, this article is interesting and informative to me.The problem you describe is not with the theology, but with irreverent people. I converted from Protestantism to Catholicism and I saw no better behavior in Protestant churches than in the Catholic Church. I can not speak for the Orthodox but I suspect they have the same issue at times. One must pray for these people. I should add that I almost became an Orthodox Christian instead of a Catholic Christian and I might fit in better in Eastern Rite Catholic Church, but I am where I am. I have great respect for Orthodoxy, even if I disagree on more specifics than I do with Catholicism. The reason we sometimes go to bread alone is because there is insufficient wine or to avoid spreading disease, such as influenza. However, in my parish, both species are allowed this season after requests from the laity. Remember, the blood must be in the body for the body to be real. I am one of those who wants to see the Orthodox and Catholic Churches re-unite as soon as possible. You could work for that as well. I have discussed this with Catholic and with Orthodox priests. Before you move again, (and I would say this to any Catholic or Orthodox) I must ask: Have you spoken with your priest? The answer to all your questions here is yes… Though we would not refer to out Lord as an ” It”. The fathers are clear…we are receiving the same flesh that was conceived in the Womb of the Virgin and was crucified for us. The Holy Fathers explicitely say this. Mary as the New Ark did contain the Living Bread. We don’t worship the Eucharist as a “thing” or as separate from the Living Christ but as his sacramental presence among us. It is really novel to make the reverse identification that Christ is the Eucharist as if that is the central mode of his presence. No adorer of Christ would speak of it this way… For the Body never becomes the bread… The bread becomes the BODY. As a person who was “saved” in the Protestant sense at an early age and have “bounced around” every Protestant sect for 40 years (it seems) looking for The Truth, I find this discussion both fascinating and exhausting. I didn’t even know about the Orthodox Church until a few years ago, “the best kept secret in America” (as I read it described once) is a good, (albeit somewhat sad) description. From my experience, Communion is a solemn, Holy Ceremony, where we remember exactly what it represents: the broken body and blood of our Saviour. It’s a very deep and personal experience, one that should move us to tears of sadness and joy combined. This is not, however, what I see at Catholic Churches, (at least not Roman). Isn’t it that body and blood that you are eating and drinking of? A new spiritual body? Or is this heresy? Scott, I’m Roman Catholic, and I’m sorry that you and others have been subject to spiritual bonfires and had not experienced the solemnity, passion, joy, and love of God in Holy Communion in the Catholic Church. That is a fault of imperfect humans, who are sinners and in constant need of God’s grace. Indeed, the Catholic Church is as much a church of sinners as it is a church of saints. I’m happy to read how both Catholic and Orthodox Christians have much in common, particularly regarding the Eucharist, and I pray, as the Catholic Church does, for unity among Christians everywhere. Thank you for the enlightening posts, especially Pete’s list of terms. I appreciate the Orthodox Church and have gone to pray at the different local Orthodox Churches from time to time. I thought the Eucharist was reserved in the Orthodox churches in a sanctuary area behind the screen. I think that Tolkien a devout Roman Catholic (his mother was a convert) said that there were two things in the Catholic Church which inspired him most: the Blessed Eucharist and the Blessed Virgin Mary. He said that there was all the beauty, joy and hope that the world needed. I am a Catholic priest of the Roman Rite, who is very familiar with Eastern Orthodoxy since my early youth. I think that you have stated both the Catholic and the Orthodox position pefectly clearly. We do share the same faith in the Holy Eucharist, only that our Roman position has been – out of necessity – dogmaitacally defined, as you so well put it. Indeed, as the Orthodox of that time understood, the Council of Trent did not dogmatise aristotelianism, nor the aristotelian theory of form and matter: it only dogmatised the fact that the bread and wine during the Mass become really, truly and substantially the living Body and Blood of Christ, the outward appearances alone remaning unchanged. Thank you! I don’t understand that position that some have that transubstantiation requires one to buy onto Aristotelian metaphysics. Transubstantiation simply states that the bread and wine change in substance, but not in accident, to the Body and Blood of Christ. Accordingly, it seems to simply require one to believe that things are composed of substance and accident, which I’m pretty sure all of the Fathers did. From this it follows that the Eucharist changes substantially but not accidentally (otherwise we wouldn’t see bread/wine after the change). these are SPECIFIED as the issue. Colossians mentions Sabbath keeping (mentioned as a covenant sign in one of the Pentateuch books) and new moons and holy days of Mosaic calendar. Acts 15 Apostolic Council eliminated all that. This is a very good post. I’m a Latin Christian with a bit of background in Thomism, and I generally see “transubstantiation” in the Thomistic sense as a particular attempt at a metaphysical explanation of what goes on in the liturgy. However, I have my doubts about claims that Trent requires a Thomistic understanding of the Eucharist, because there are plenty of non-Thomistic explanations in the West that have never been condemned. So, it seems that the Latin Church really intends the word transubstantiation to mean that Christ’s body and blood are truly present in the Eucharist. I think this is similar to what is meant by the Orthodox who use the term, although they (for good reason) want to more heavily emphasize the mystical aspects. Thanks for the blog and the discussion and the tone of all involved. The idea of literal transubstantiation was a sticking point for me. It was the idea that the bread and wine could have both natures as Irenaeus stated, “For as the bread from the earth, receiving the invocation of God, is no longer common bread but the eucharist, consisting of two elements, earthly and heavenly…” St. Irenaeus of Lyons (Against Heresies 4:18:4-5). As I considered Orthodoxy, this was the last domino to fall. I can accept that the bread and wine are the body, but that the elements remain recognizable as bread and wine. Perhaps this is too metaphysical. The fact that this was left as a mystery and is not dogma, allowed me to come to Orthodoxy. Maybe I lack sufficient faith. Interesting article. Its important to point out, however, that all the texts you shared come from a period in Orthodox Church history that was highly latinized, if not dominated by latin theology. The statements in those catechisms in no way represent a traditional Orthodox approach to the eucharist. St. Nikomdemus’ work gives a more well-rounded approach to the subject. The more authentic approach I believe is: a change occurs, how and when are not exactly certain. One can identify certain key moments, but it ever should become a theological science. There never was a “real presence” theology in Orthodoxy. Not because we deny the real presence but because we do not limit the real presence of Christ to the eucharist. It deifies complete definition and complete rational explanation. Wow, thank you so much! This clarified a lot. I’m currently Rom an Catholic but live where I could study with the Greeks. Love so much about that tradition. And, I’m a Eucharistic Minister and a convert. So, again, this article helped a lot. God’s Blessings & Peace this Easter Season. At the last supper, when the Lord Jesus picked up bread and broke it, and picked up a cup of wine, and said, “This is my body”, and “This is my blood”, etcetera, who imagines that any of the twelve apostles took him literally? I wouldn’t have, in their position! What could Jesus possibly have meant, if he had been making a literal assertion at the last supper, as later teachers in the church have taught, about the “substances” (whatever that theological word means) of the two substances that he was holding at the times concerned, the bread (or former bread) and the wine (or former wine)? In 1 Corinthians, the apostle Paul teaches that a man ought to examine himself before he eats of the bread and drinks of the cup (wine), for anyone who eats and drinks without “recognizing” the body and blood of the Lord, drinks judgment on himself, because he has eaten the bread and drunk the wine in an “unworthy manner”, a sin against the body and blood of the Lord.